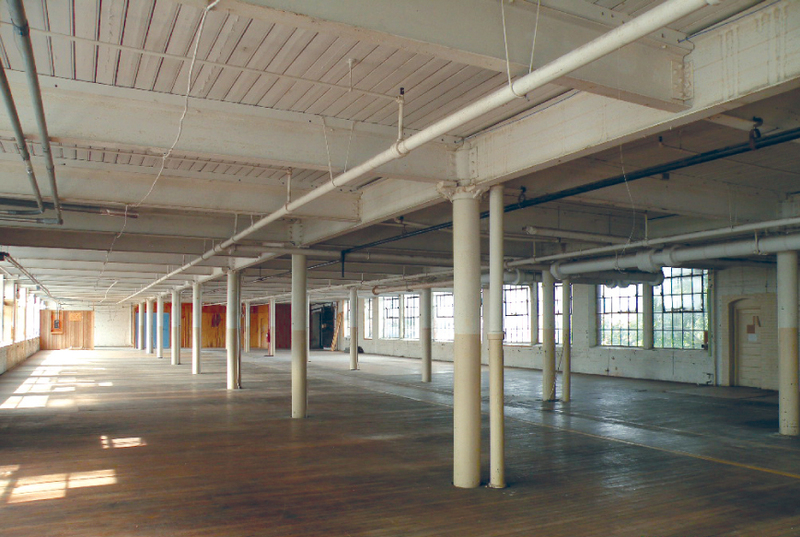 he Pajama Factory is a 19th Century 300,000 square foot landmarked factory building in Williamsport, PA. Our client enlisted us to design a full renovation that would accommodate a mix of cultural amenities, commercial space, artist studios, and residences. The project first demanded an intensive strategic planning effort to balance construction phasing with code compliance, financing, and community building. 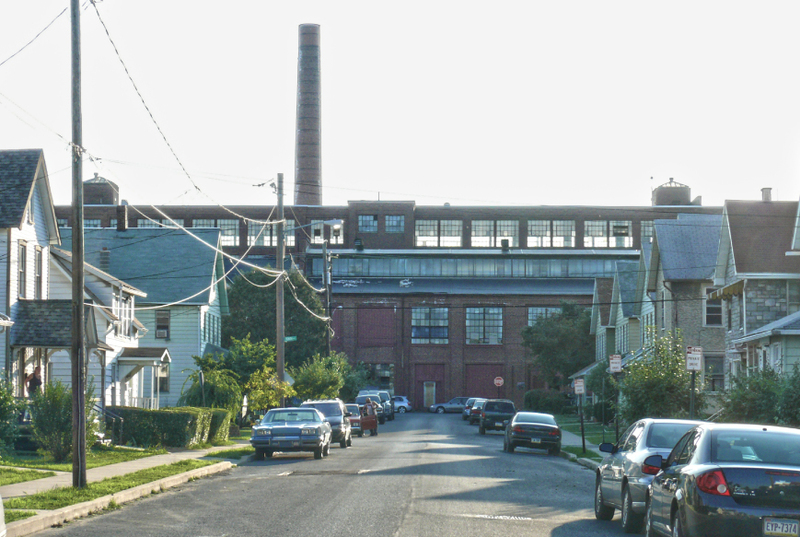 Several years ago, The Pajama Factory was a nearly abandoned 300,000 sft historic mill building in the center of Williamsport, PA, a small rust belt city that has seen more than its fair share of population and economic decline. Our project team was asked to provide architectural services and also to propose a strategic plan that would enable the incremental build-out of an economically viable mix of commercial, light industrial and residential spaces. 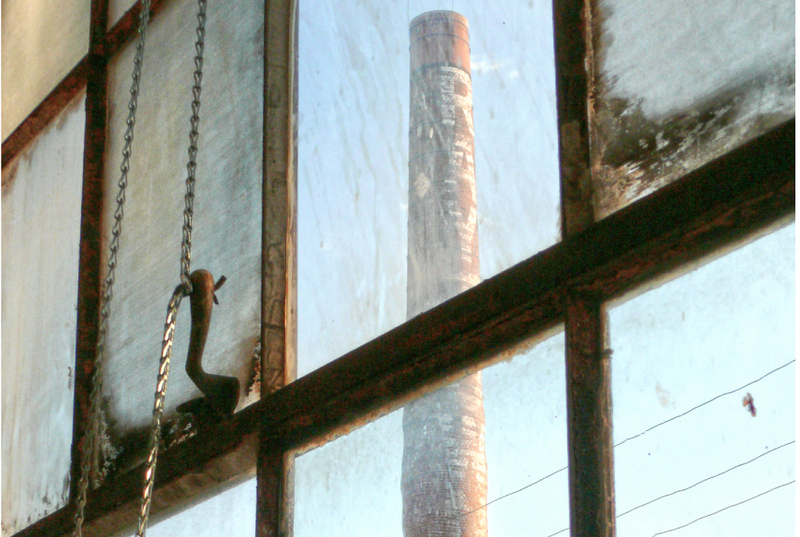 The Pajama Factory is a complex of eight industrial buildings constructed between the 1890’s to the 1920’s on a 5 acre site in central Williamsport, which our client has begun to restore and transform into a creative company incubator and arts community. 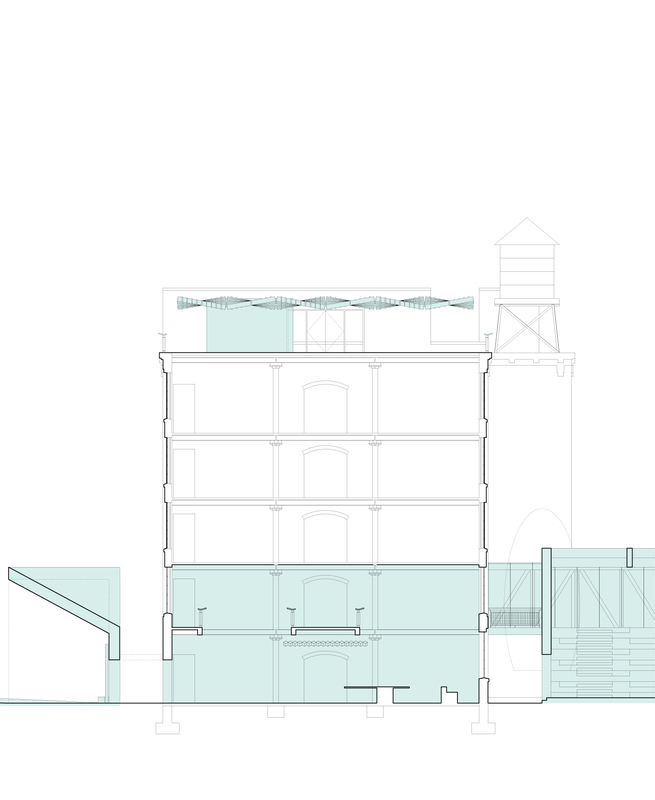 At full capacity, the Factory will see three floors of affordable artist studios and workspaces, 60 residential lofts for rent and for sale, galleries, assembly spaces and several performance spaces for music, dance and theater productions. It will also contain workshops with digital mills, ceramics, wood, metal and print making facilities that can be used by building tenants and residents, visitors, and the community. The preliminary owner-initiated phase of the project, which involves straightforward infrastructure improvements and tenant space build outs, has already begun to attract a diverse arts and small business community. We designed a full architectural vision that could be evolved from these improvements, and outlined a clear strategic plan for achieving them. We proposed the integration of design strategy, code analysis, marketing, and phased multi-sourced financing, and defined a road map for incrementally phased build outs that would grow this community into a sustained “ecosystem” of live/work creativity and commerce. Our team examined the interrelationship between physical space, building codes, program, financing sources, revenue, time and other factors, and developed tools for understanding these relationships. These tools enabled our client to work within the numerous scenarios of scheduling, phased financing, code compliance, tax credit qualifications and marketing rollouts. For us, these tools enabled us to make a better case for architecture, by recasting it in a role as strategically important to the project as financing and revenue. 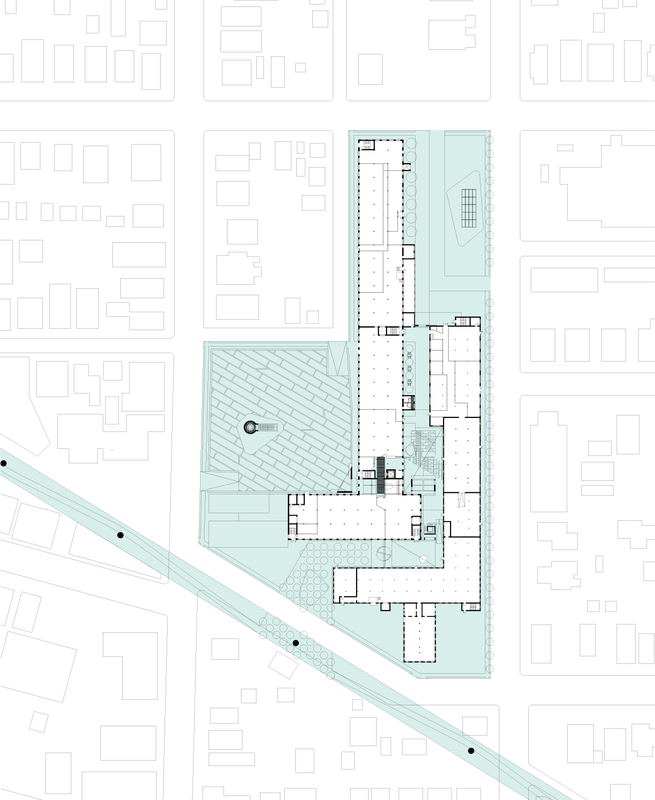 We proposed the simultaneous construction of revenue-producing space, amenities and public spaces, and designed every attribute of these public spaces to perform towards a larger goal of growing the building’s community. 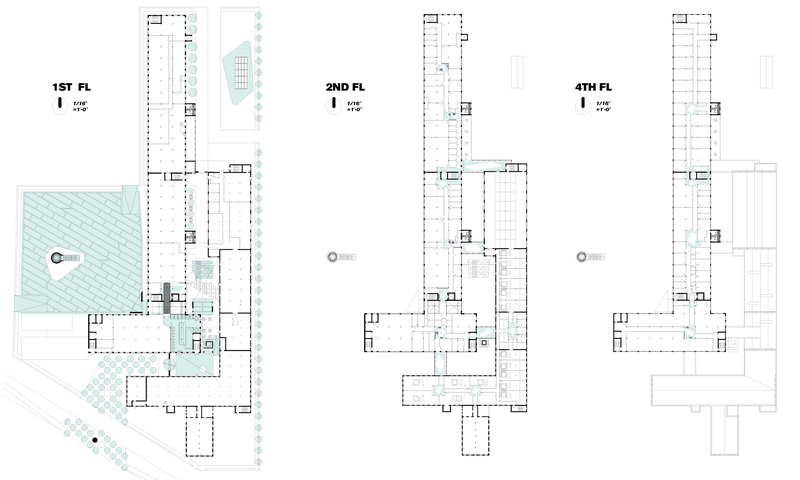 At the planning scale, we located, designed, and prioritized construction of such spaces to intensify activity in prominent parts of the building. 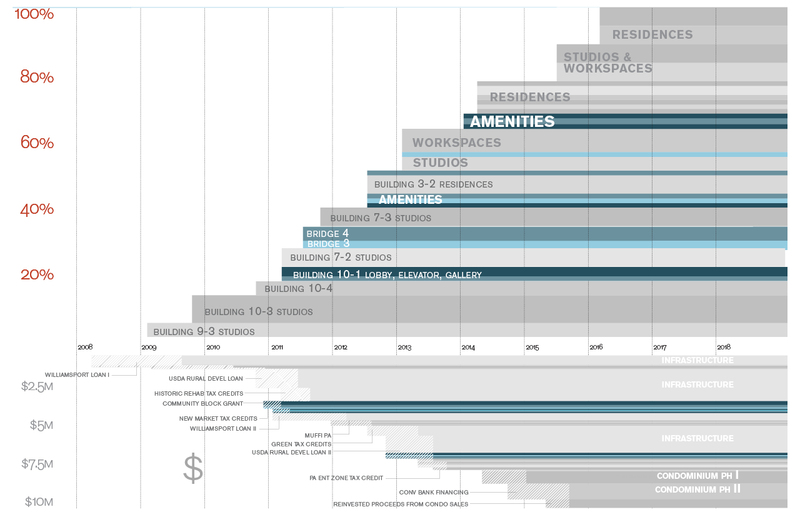 At the architectural scale, we designed a system of cost-effective but high impact interventions and guidelines that express the historic building’s unique identity and project creative activity, and make the community visible to itself and to prospective residents. As these elements are constructed, they are further reinforced by the development’s marketing and operations, so that The Pajama Factory’s space works seamlessly with its outward message and inward events and services. he strategic planning phase focused on ensuring project feasibility through phased buildouts. Building code analysis identified a performance compliance scenario to enable the construction of mixed-use spaces funded through diverse financing streams. We complemented code research with an integrated plan to leverage program, community, and architecture as a strategic asset to grow rent rolls.